Epcot holds everything we could ever want in a theme park with thrilling attractions, delicious eateries, amazing entertainment, and a vast array of cultures. It’s no surprise that we aren’t the only ones that can’t seem to get enough of Epcot! This means crowds are inevitable and will only continue to grow once the remodeled Future World takes shape closer to 2021. In the meantime, here are a few tips to surviving the current crowds you can expect to find at Epcot. While staying at a Disney Resort is an ideal option when it comes to transportation to and from Epcot, we will say the parking at Epcot is actually pretty bearable! There have been several times we’ve stayed at a Disney Resort but opted to drive anyway instead of waiting on Disney transportation. The Epcot parking lot is very accessible and in close proximity to numerous Disney Resorts. Bus transportation is always an option from any resort, but we will say the bus drop-off/pick-up location is a bit of a walk to and from the park entrance. You can also ride the Monorail to and from the Transportation Ticket Center to reach Epcot which is a good option if staying at a Magic Kingdom Resort. 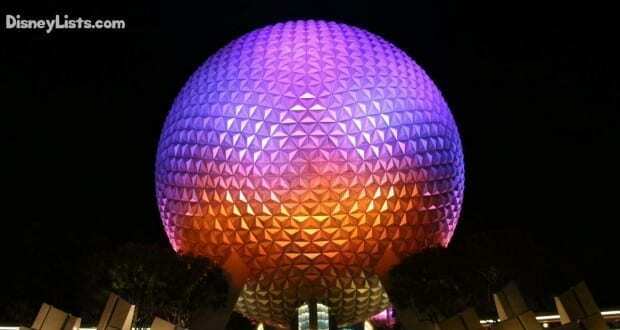 If staying at an Epcot Resort… you are in luck! Simply walk to Epcot and enter through a special side entrance in the World Showcase. You can also boat to Epcot from Epcot Resorts. Epcot has four main festivals held throughout the year which include the Festival of the Arts, Flower and Garden Festival, Food and Wine Festival, and Festival of Holidays. If you are visiting during one of these festivals, you’ll want to be sure to check out what type of events, entertainment, and food they offer! For example, if you visit during the Food and Wine Festival, you can make plans for special dining and drinking around the World Showcase. 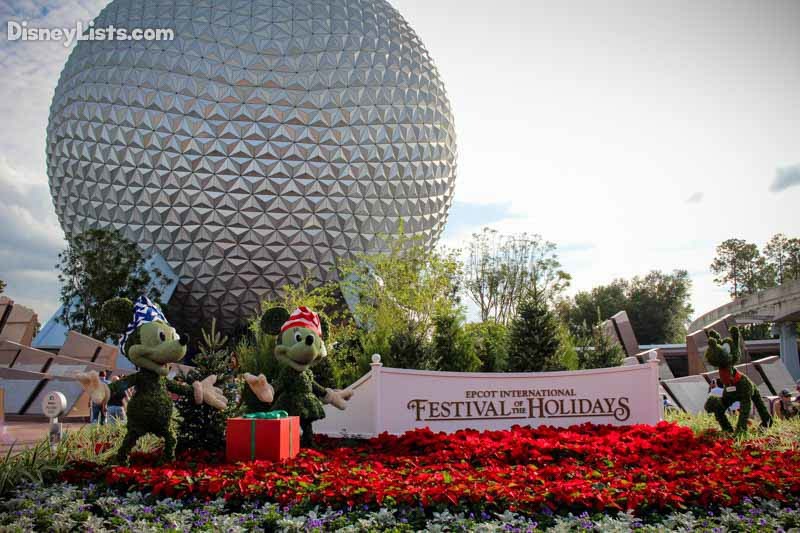 If you visit during the Festival of Holidays, you’ll want to make time for special entertainment like the Candlelight Processional and even see if there is a dining package where you eat at an Epcot restaurant then have reserved seating for the special event. Check out this information in advance as this will be critical in how to navigate the crowds during the festivals! If you are looking to get ahead of the Epcot crowds, we’d recommend making breakfast reservations at Akershus Royal Banquet Hall for 8:00am. This means that if Epcot officially opens at 9:00am, you’ll gain access to the park over an hour before most everyone else does! The best part is Akershus is located in Norway which is also where the popular Frozen Ever After attraction is located. We’d recommend wrapping up your breakfast with the princesses by 8:50am which means you’ll be out in the Norway pavilion before the park opens at 9:00am. Get in line for Frozen Ever After and you’ll have very little to no wait! ***Be aware however of Extra Magic Hours, as early morning magic hours (8am-9am) could foil this plan. You’ve had a delicious breakfast and have ridden Frozen Ever After, it’s now time to head into Future World since the rest of the World Showcase doesn’t officially open until 11:00am. Our recommendation would be to head directly to Test Track. At this point, it’ll be just after park opening… around 9:30am, and the standby line for Test Track likely won’t be too daunting as most people are headed to Soarin’ or Frozen Ever After. If the line is long however, you could look at the wait time for the Single Rider option available on Test Track. After Test Track, take a ride into space on Mission: SPACE which rarely has lengthy lines, particularly in the early morning. Now that you’ve gotten three attractions out of the way, it’s time to use your three morning FP selections that you selected with your My Disney Experience account 60-days before if a Disney Resort guest or 30-days before if not. With the Tier FP System at Epcot, you can only select one FP from Tier 1 and two FP from Tier 2. The popular Tier 1 FP include Soarin’, Test Track, and Frozen Ever After. Good news! You’ve already been on both Frozen and Test Track which leaves us recommending a Soarin’ FP as your first selection. The other two FP recommended selections from Tier 2 would be Spaceship Earth and Character Spot. For this example, we’ll say your three FP selections include a 10a-11a Soarin’; 11a-12p Character Spot; and 12p-1p, Spaceship Earth. In between these FP times, you’ll likely have no problem jumping on Living with the Land next to Soarin’, The Seas with Nemo and Friends, and possibly Turtle Talk with Crush. Let’s say it’s now 1pm and you’ve wrapped up most all of the Future World attractions by this point. We’d still recommend that as soon as you get off of the last of the three selected FP attractions (Spaceship Earth in this example), you get on your My Disney Experience App and book your 4th FP. This FP can be for anything you have left over like Figment or Disney & Pixar Short Film Festival. We normally schedule this FP for later in the day, as by this point we are eager to make our way into the World Showcase! You’re hungry at this point but also ready to get to exploring the World Showcase! Take your pick to whether you begin your World Showcase journey by going left toward Mexico or going right towards Canada. Amazing, quick service food awaits whether you decide to stop and snack in particular pavilions or have a small sampling in each of the 11 pavilions. Don’t forget to wash your food down with some of the wonderful beverages also available. Just be aware that you should be drinking LOTS of water along with alcoholic beverages. Mexico – Relax on the Gran Fiesta Tour Starring The Three Caballeros boat ride. Norway – Meet Anna and Elsa at the Royal Sommerhus. China – Be amazed by the Jeweled Dragon Acrobats. Germany – Watch the miniature trains go through the villages. Italy – Check out the ever entertaining Sergio in the center of the pavilion. America – Listen to the Voices of Liberty perform. Japan – Watch the playing of the drums with Matsuriza. Morroco – Shake your hips along with Matboukha. France – Meet Belle from Beauty and the Beauty in her blue dress. United Kingdom – Listen to the memorable British Revolution band. Canada – Watch the O’ Canada film and explore the waterfalls. If you have children in tow, you may want to take advantage of Epcot’s free Kidcot spots where children can find a Kidcot location at each pavilion to receive a stamp and even rest their feet to color. Another fun scavenger hunt around the World Showcase is the Agent P’s World Showcase Adventure which is especially great for tweens and teens. 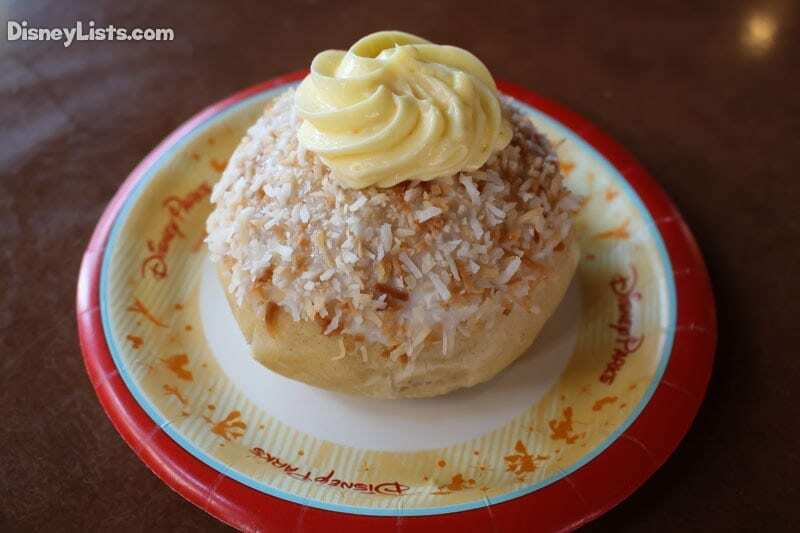 Don’t forget to include them in tasting their way around the World Showcase! The World Showcase can take you as little or as long as you’d like. If you’re tired and just want to hang out in the World Showcase for the rest of the day until dinner and IllumiNations, go for it! If you work through the World Showcase quickly, you can always go back into Future World and catch any extra attractions you may have missed, including your fourth FastPass selection. The best way to do dinner and IllumiNations while surviving the crowds is to combine them into one! We recommend making a dining reservation at Rose and Crown Restaurant 180-days in advance of your trip. Epcot’s IllumiNations fireworks spectacular is typically at 9:00pm (but changes to 9:30pm over the holidays). Going with the 9pm example for IllumiNations, we’d recommend a dining reservation at Rose and Crown Restaurant at 7:45pm. Ask a host/hostess in advance if you could sit outside in a fireworks viewing location. It’s amazing to view the fireworks right from your own table! If you don’t get a table outside or if you don’t have a good view for the fireworks, you can always walk down to Rose and Crown’s private viewing location to catch the show. 13 – Don’t Rush Out After IllumiNations! Yes, the park does officially close after IllumiNations, but this doesn’t mean you need to rush out by any means. Finish your Rose and Crown meal if you haven’t already and then slowly stroll out of the park, stopping in gift shops such as Mouse Gear along the way. Sure, you won’t be able to get on any rides, but this will allow the crowds to go out ahead. Enjoy your quiet stroll out of the park as a perfect way to wrap up your Epcot day! And there you have it! Your survival game plan for Epcot crowds. Don’t forget to pack your patience and remember not everything will go as planned and that’s ok! Check your My Disney Experience App and a Times Guide for park hours and entertainment schedules as the times mentioned above can change daily. We hope you have a great day at Epcot!